Suppliers, distributors, wholesalers and brokers can SELL on WEGOTRADE. Our user-friendly platform allows you to quickly publish your entire catalog in just a few clicks. Trade with your existing customers or open new markets – you decide who can buy from you on our marketplace. You can even create a private and fully customized B2B community for your business clients. Buy: FREE to use, no setup fees! 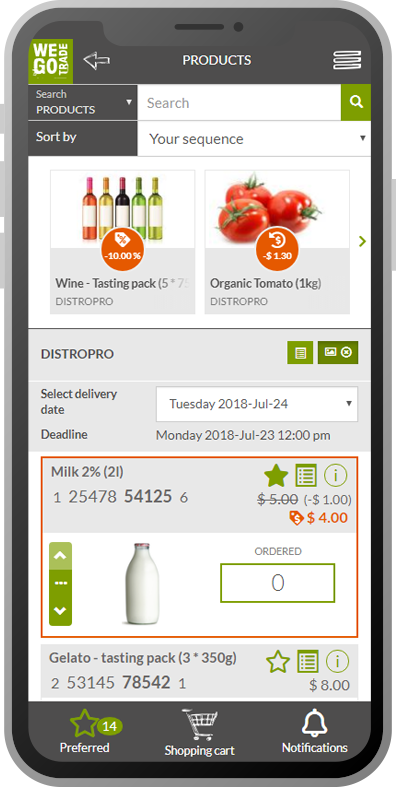 Store and restaurant owners, franchisees and other retailers in the food industry can access WEGOTRADE from their smartphone or from a user-friendly web interface to place orders. It’s now faster and easier than ever to manage your inventory and your orders. No more waiting for a sales rep, no faxes, no more emails to type or phone calls to make. Click and order! 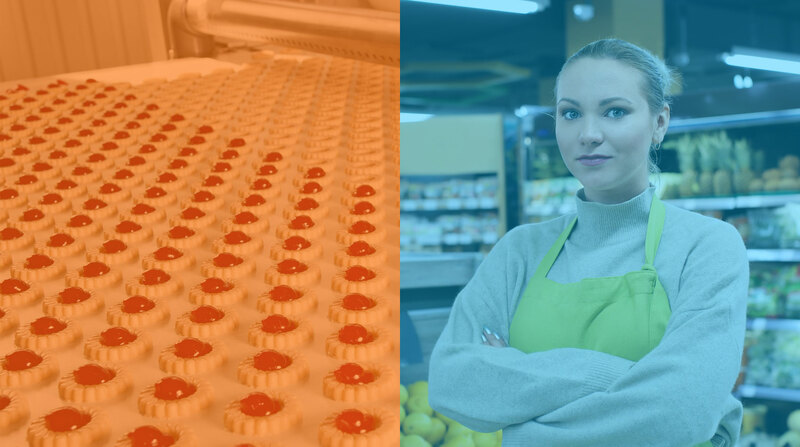 WEGOTRADE gathers buyers and sellers of the food industry on a single platform, enabling fast, secure and simple trade between them. The Open Marketplace, as its name suggests, allows members to trade freely, to open new markets, and to create new business opportunities. A Regional Community allows businesses of a particular region or from a common industry to promote their products and give more exposure to their vendors on the Open Marketplace. In turn, retailers will be able to find them and order their products more easily. The Corporate Community allows them to offer a private, simplified ordering platform to their retailers. Go beyond online orders and basic ecommerce websites. Your business customers and your company deserve better. Involve all the stakeholders to maximize opportunities by creating a tailor-made trade community on WEGOTRADE! Our solution provides you with tools and features that make trading easier and faster for the community manager, the vendors, and the retailers. WEGOTRADE adapts to your needs, evolves with your business, and can be integrated to your existing management system such as SAP, Epicor, Microsoft Dynamics, Deltek, Oracle, Macola, SAGE, ACCPAC, Bluebeez and others. This allows you to use our platform seamlessly. Fully integrated to your actual system. WEGOTRADE will collaborate with your IT team to deploy our platform and connect it to your ERP. This will ensure a complete and seamless integration, allowing you to continue operating without additional software or steep learning curve. The integration flow supports all the major data, from incoming purchase order, to price list and delivery schedule per customer. Our sales team can get in touch with you to discuss the various possibilities. Order everything from your phone! WEGOTRADE has the capacity to integrate seamlessly to your Point of Sale system or your Wharehouse Management System. The inventory level from your management system can be pushed to WEGOTRADE to automate the order recommendations. WEGOTRADE can become a direct extension of your management system to your vendors. Ask our sales team about the possible integrations.